You are on a space station, when suddenly everything goes crazy and your confinement is over. 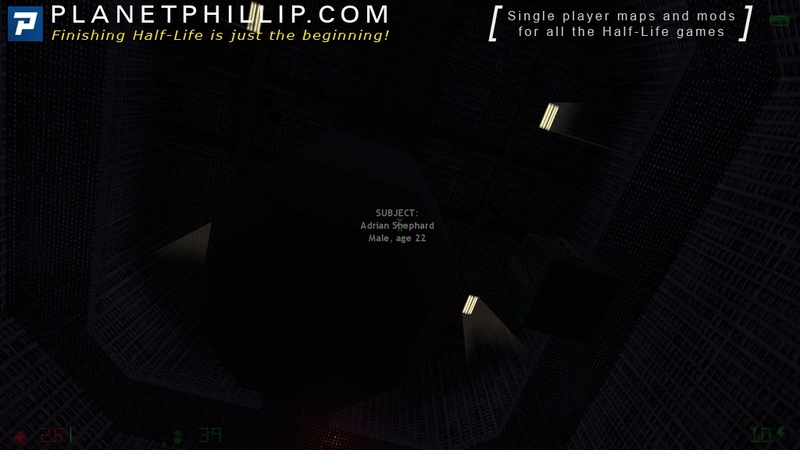 Work your way through a series of rooms and corridors until you eventually find the escape pod. The path free takes many directions. Good luck prisoner! I HIGHLY recommend using MapTap to install and play this map. Using the manual method may overwite some default files. 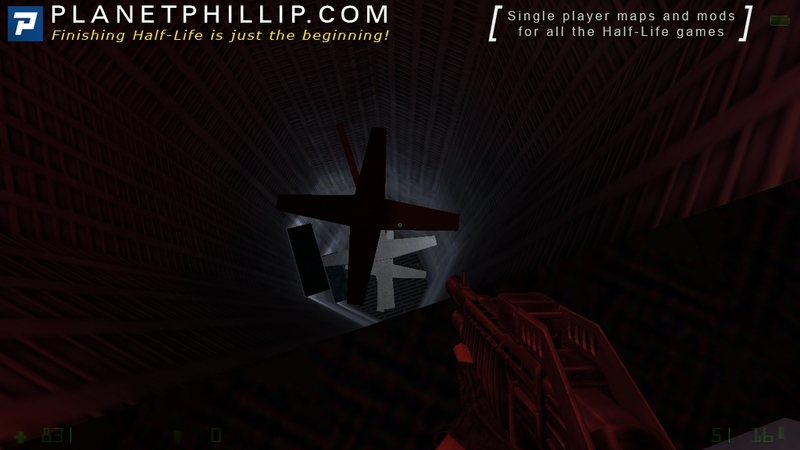 With the exception of both readme files, copy all the contains of the file into your opposing force\gearbox installation. Open the console and type map space1. I’m not really a big “space Station” fan and especially if it’s as dark as this one. I can’t get too excited over it becaue I found the gameplay a little limited in style and enemies. One point to remember is that I and maybe you., are playing this fours years after it was made and I really think that makes a difference. If we played this when it was first released we might have been a little more receptive to it, but things have mode on a lot since then. I admit that I got a little bored and at one point got stuck, so I “noclipped”, hopefully you won’t have to. All in all, it’s worth your time if you enjoy playing most things. Consider not leaving your cell. Wish someone would do their magic and make this into a mod. I don’t like spreading files all over my original install. Story: I can’t tell much of the story because the readme is in russian language. 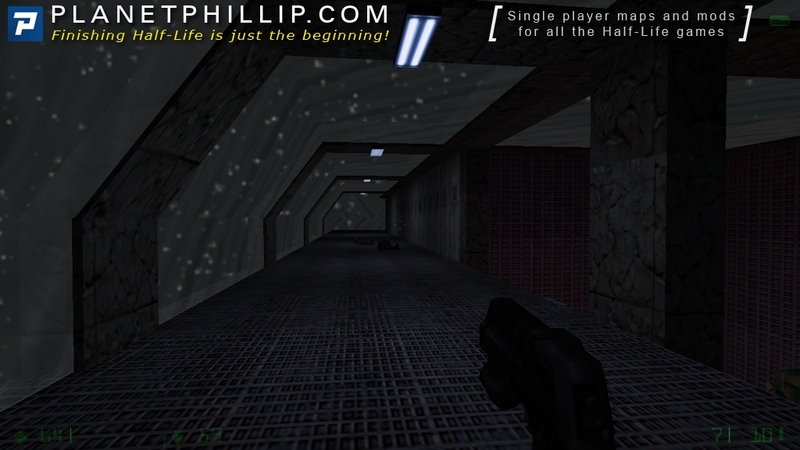 But I believe it’s quite familiar with the story of Unreal 1. So I believe you’re on board a prison ship or prison spacestation in jail. Then the structure gets under attack by our good old friends the Xen. Your Mission is clear: Get the hell out of there and escape. After the engery holding beams are deactivated by losing power you can leave your holding cell. 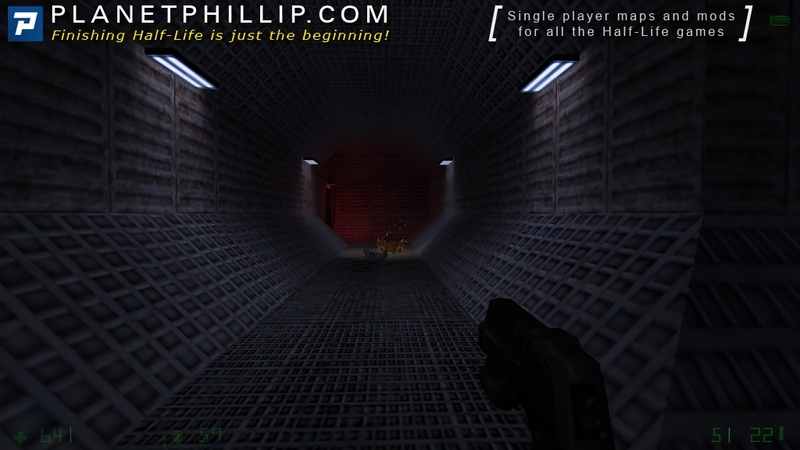 Gameplay: The gameplay is also quite familiar with Unreal1. You’re hearing some nice custom voices people crying everywhere and noises of unknown monsters which increases the atmosphere a lot. 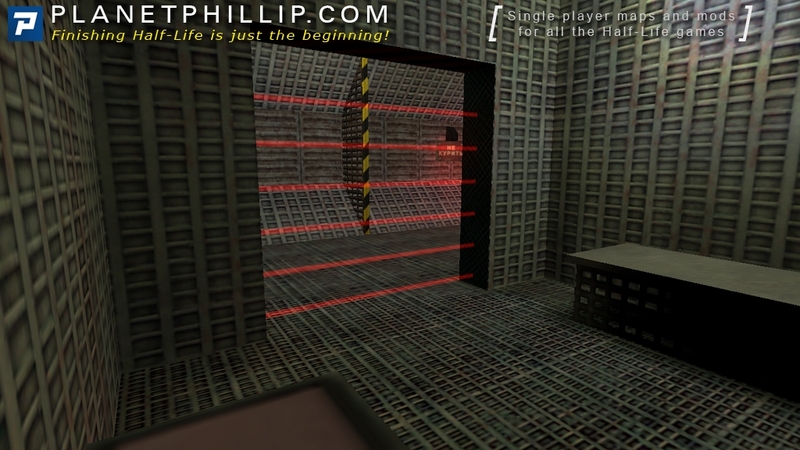 my conclusion: If you liked Unreal1 and science fiction then you should try this mappack immediately. -Short but great mappack the fights were nice. 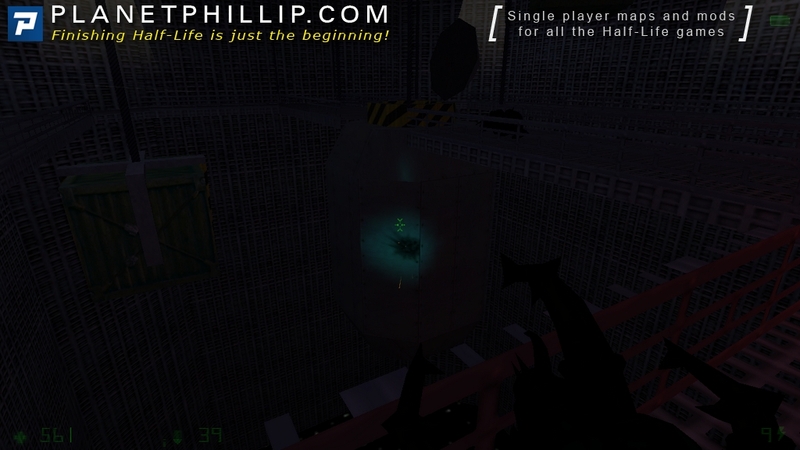 -A small outro scene where you see the escape pod leaving the Ship\Station. 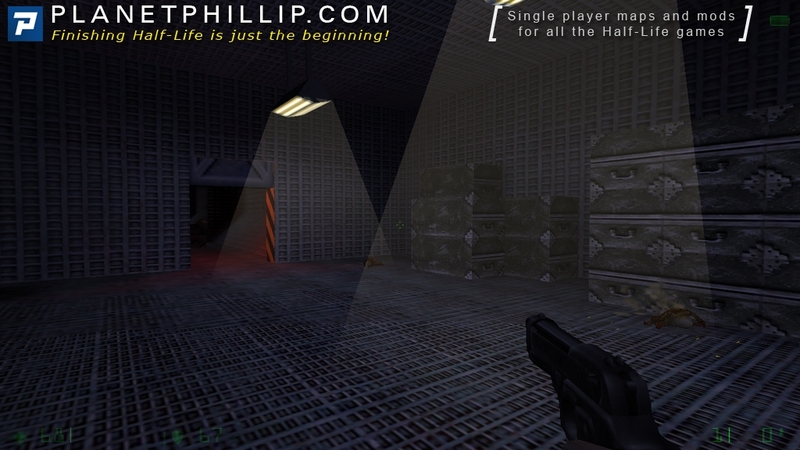 -It’s really dark in the levels nearly impossible to play without nightgoggles. -Not much variety with the monsters. You mostly encounter Alien Slaves. -a bit frustrating you don’t know what to do next sometimes. The mappack is short but fair noclip isn’t required at all. 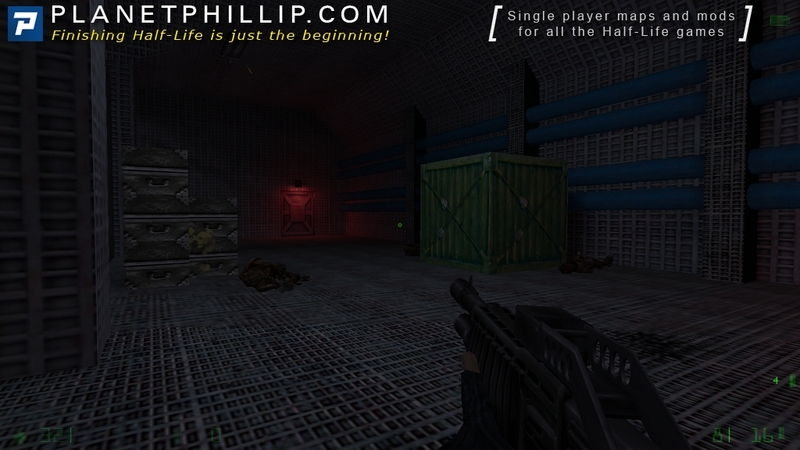 -After the start go right and get your combat gear and press the button on the left. -In the next section there’s a door that is jammed by something punch against it with your knife and the door will open. 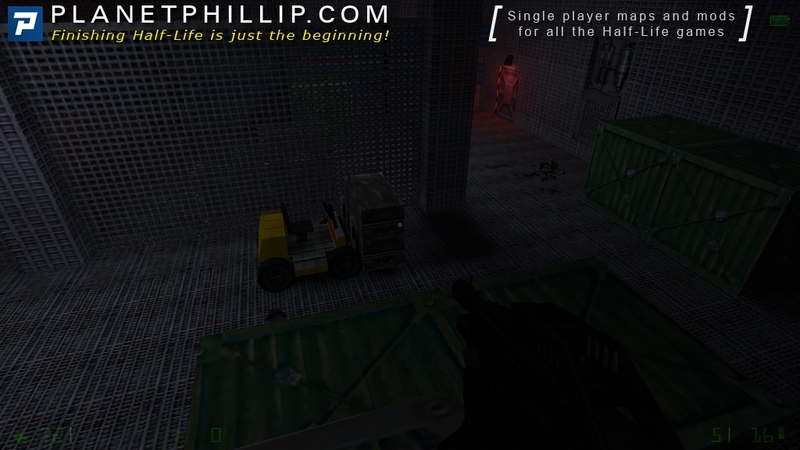 -You need to push ammo crates and tables sometimes to reach the ventshafts above you. -Sometimes you have to go more than once into the same vent (multiple ways in them). With those hints no one should have any problems in succeeding with this mappack. the files don’t affect your Opfor. So don’t worry. But make a backup of your original titles.txt and skillopfor.txt if you have them. It’s playable, but a little vague sometimes, And the night goggles are a little tedious “cos being so dark doesn’t add anything! Said by Brian “Wish someone would do their magic and make this into a mod. I don’t like spreading files all over my original install. I’ll work on that tomorrow or monday when I get back from camping.I like stand alone mods also but unfortunatly op4 doesn’t allow that.So I have to add extra files to make it work and the mod installs into the HL folder instead but plays as op4. 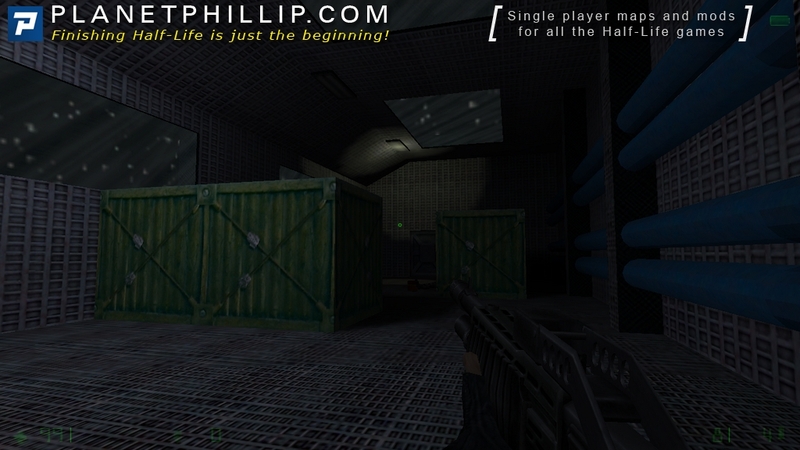 So, this is one of the newer Opposing Force maps added to the site, so it may be more familiar to you than others. I haven’t changed my mind about it compared to the first interview and the biggest let down is the blocky design. I really don’t think space stations will ever be that square. 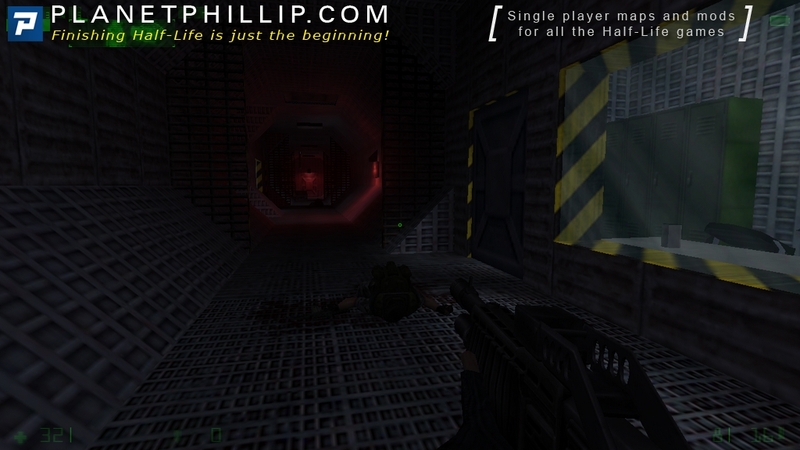 Anyway, the gameplay is very linear and the design emphasises this. There are some nice ideas but the whole thing looks to geometrical. 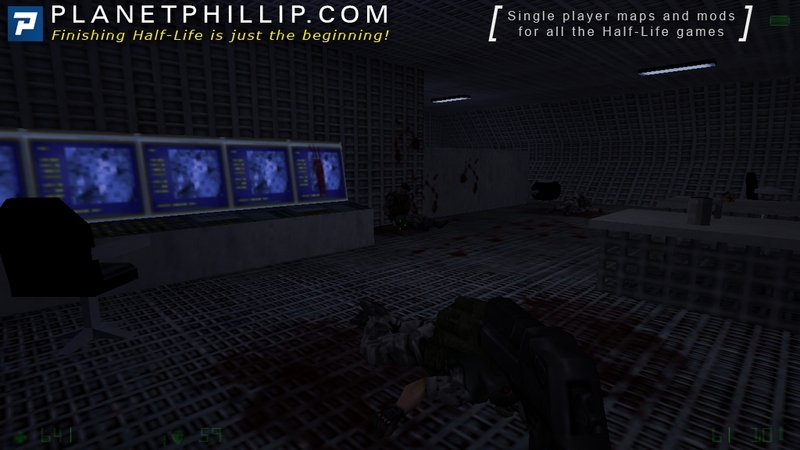 All in all, a map where the look overides the actual gameplay. I’m assuming the spaceship was the USS Lego! A little run around, shoot a few baddies and jump into what I assume is some kind of escape pod? There’s not much more to it! And not much fun! 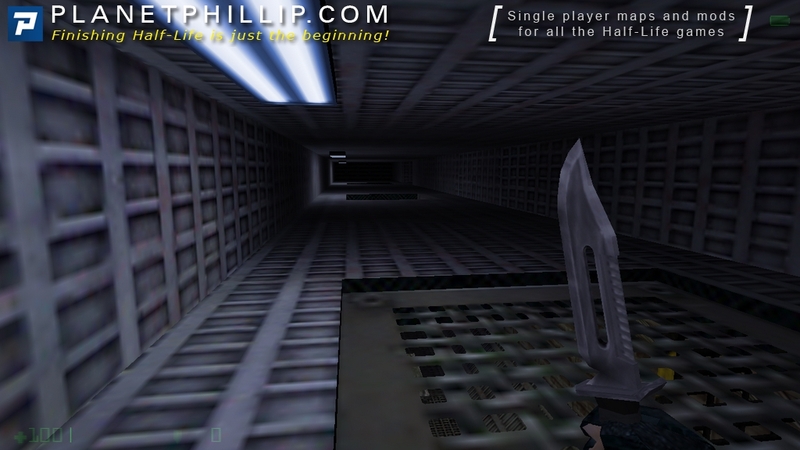 I assume the repetition of textures in this map is supposed to make it look futuristic, but it makes things look really basic when otherwise the level design is OK. At one point I got stuck because a ladder blended in perfectly with the walls! 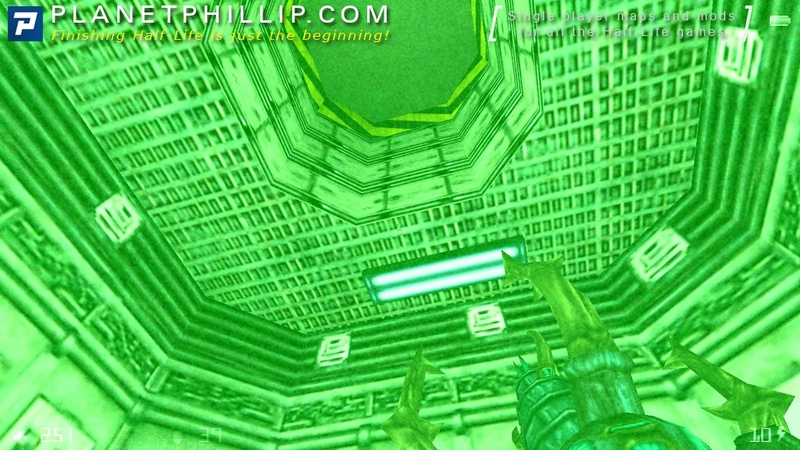 In any case, the spaceship environment is a nice change from Black Mesa, and there are a few simple puzzles to break up the action. I did quite enjoy playing it, and there is fun to be had, but I have to give a “Maybe” because people will be put off by the overly simplistic design and limited scope of the levels. 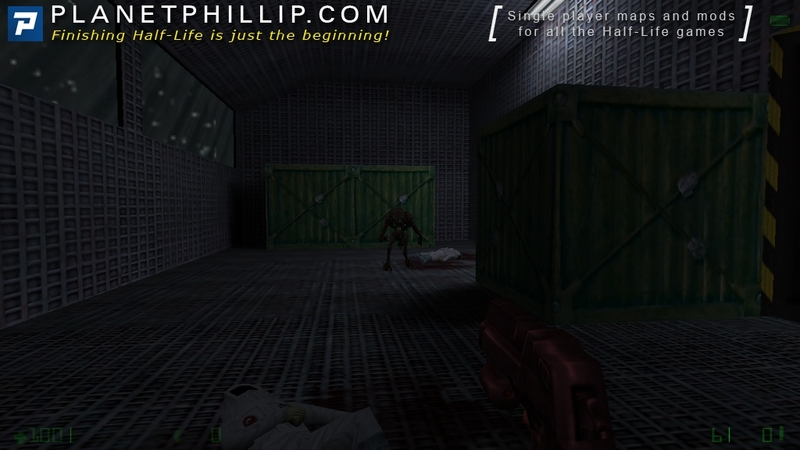 I remember playing this some years ago, it wasn’t so much about the map design than it was about the horror design, heh. This one was just kind of ehh. I don’t really have too much to say about it besides that the Design was blocky and repetitive and that the texturing just didn’t seem right. It all just blended together. 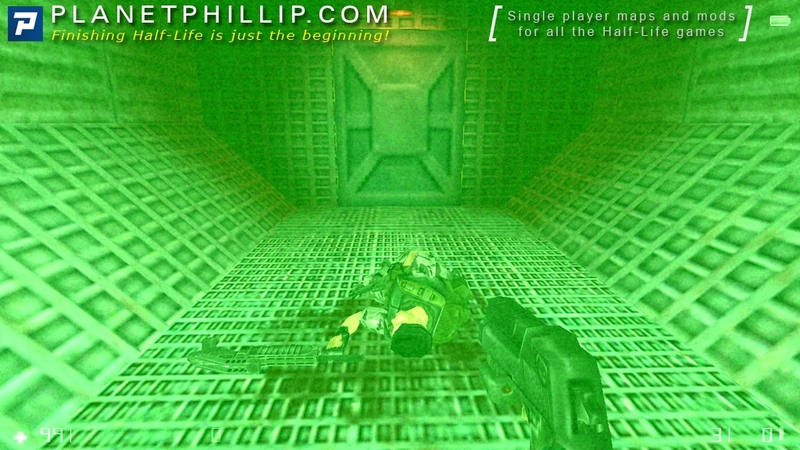 I’ll just leave you with a Fun Fact: In Opposing Force, if you type “haiku” into the console and leave the console during gameplay, a randomly generated and nonsensical haiku will be shown on screen. It seems that Op Force made crazy every russian mapper available I mean from all the Op force maps i’ve played every one of them has been russian so far. Here the space topic is just a big excuse to do the classic escape the ship plain plot. I installed it manually as my Map Tap just couldn’t handle it. We appear in a place with nice red and blue lighting and futuristic design. We go right through the lasers, pick up vest and knife in another room and proceed. 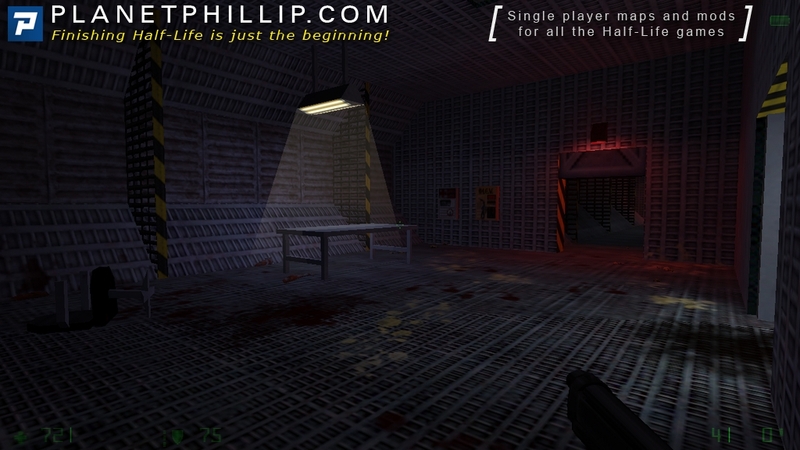 Then we run through repetitively looking spaceship rooms, hearing screams, killing alien slaves and headcrabs. We progress using opened vents and occasionally break a lock. I got stuck in some room with weapon locker, I thought that I’m supposed to bring a crate from previous map, but the crate disappeared after the changelevel, which shows lack of thought. Turned out there is a ladder, which is hard to notice on the wall. 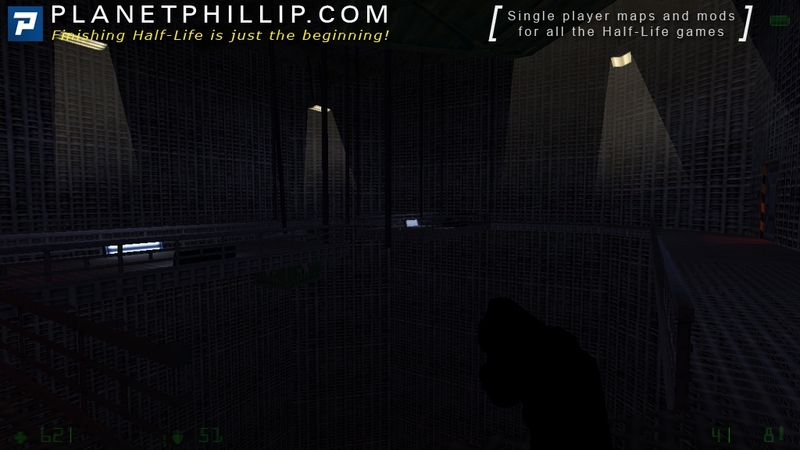 Then we get into some pod, the screen becomes white and then the game becomes stuck in a cutscene. It has nice ambience and fun to play, but the design is comparatively simple, and there’s aforementioned lack of thought, so think for yourself if you should play it or not. 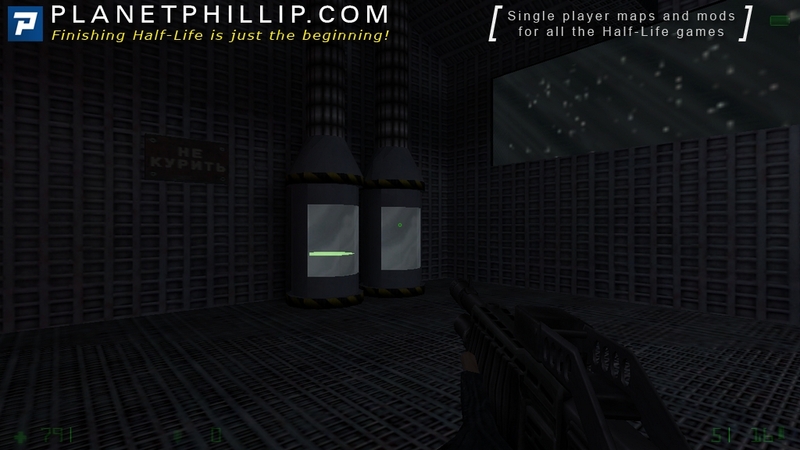 Well as much as I can appreciate the spaceship theme in a Half-Life map, this one just didn’t do it for me. I think the awful texturing is the biggest problem here – it’s too repetitive and honestly a terrible texture was chosen to begin with. While the design is a little blocky it’s not terrible and you do have to backtrack a couple times so it’s a little different than your standard linear set of maps. There is a bit of atmosphere here and the author does pay attention to sound design at least. 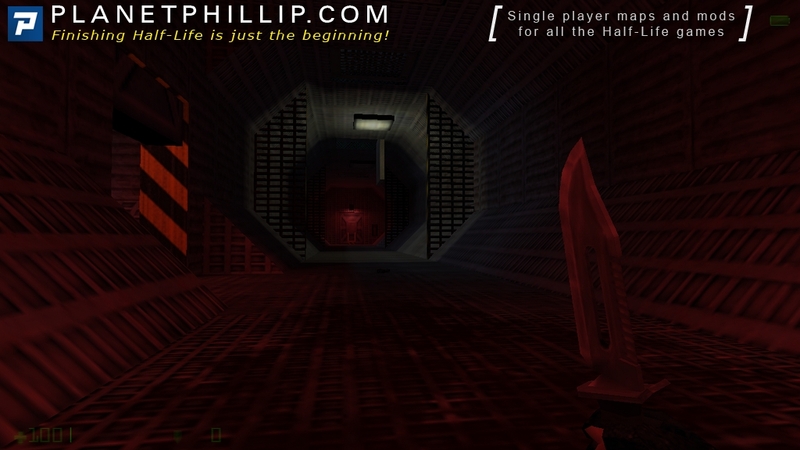 It never achieves a “horror” atmosphere (if that’s what it was going for), but the dark areas and some of the sound help contribute to at least reaching “nearly creepy” in some areas. The combat is kind of lame. Ammo starts out sparse but soon you should have plenty of shotgun and desert eagle ammo if you explore a bit (not that there’s much to explore here). Unfortunately your main adversaries are just vortigaunts, with a couple headcrabs thrown in. There’s only one Race X enemy, and you should easily get the drop on him since he’s facing the wrong way. Overall not much to see in this map. The spaceship theme is a total letdown, and the Opposing Force assets are very lightly used – in fact, there’s really no reason this should have been made for Op4.